Don't leave pets outdoors when the temperature drops. During walks, short-haired dogs may feel more comfortable wearing a sweater. 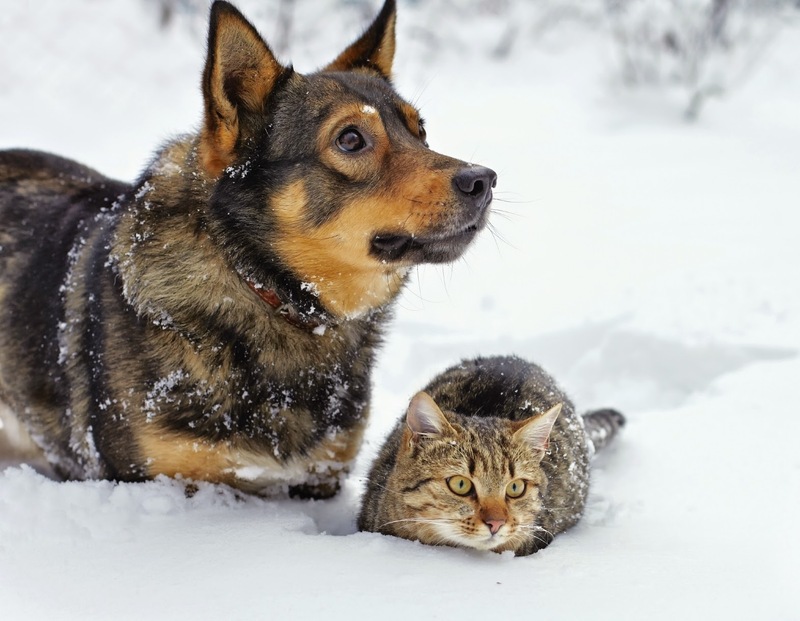 No matter what the temperature is, windchill can threaten a pet's life. Pets are sensitive to severe cold and are at risk for frostbite and hypothermia during extreme cold snaps. Exposed skin on noses, ears and paw pads can quickly freeze and suffer permanent damage. If there are outdoor cats, either owned pets or community cats (ferals, who are scared of people, and strays, who are lost or abandoned pets) in your area, remember that they need protection from the elements as well as food and water. It's easy to give them a hand. Pets who spend a lot of time outdoors need more food in the winter because keeping warm depletes energy. Routinely check your pet's water dish to make certain the water is fresh and unfrozen. Use plastic food and water bowls; when the temperature is low, your pet's tongue can stick and freeze to metal. Warm engines in parked cars attract cats and small wildlife, who may crawl up under the hood. To avoid injuring any hidden animals, bang on your car's hood to scare them away before starting your engine. 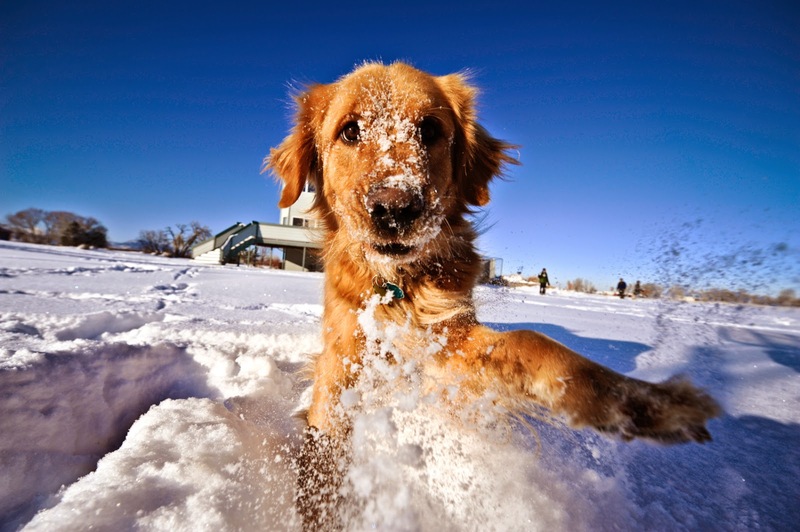 The salt and other chemicals used to melt snow and ice can irritate the pads of your pet's feet. Wipe all paws with a damp towel before your pet licks them and irritates his/her mouth. Antifreeze is a deadly poison, but it has a sweet taste that may attract animals and children. Wipe up spills and keep antifreeze (and all household chemicals) out of reach. Coolants and antifreeze made with propylene glycol are less toxic to pets, wildlife and family. If you encounter a pet left in the cold, document what you see: the date, time, exact location and type of animal, plus as many details as possible. Video and photographic documentation (even a cell phone photo) will help bolster your case. Then contact your local animal control agency or county sheriff's office and present your evidence. Take detailed notes regarding whom you speak with and when. Respectfully follow up in a few days if the situation has not been remedied.